I'm having an issue on my Nexus 4 (Stock Android 5.1.1). It keeps disconnecting from my Wifi. When I go back to connect, it says "No Internet access, automatic connection impossible". 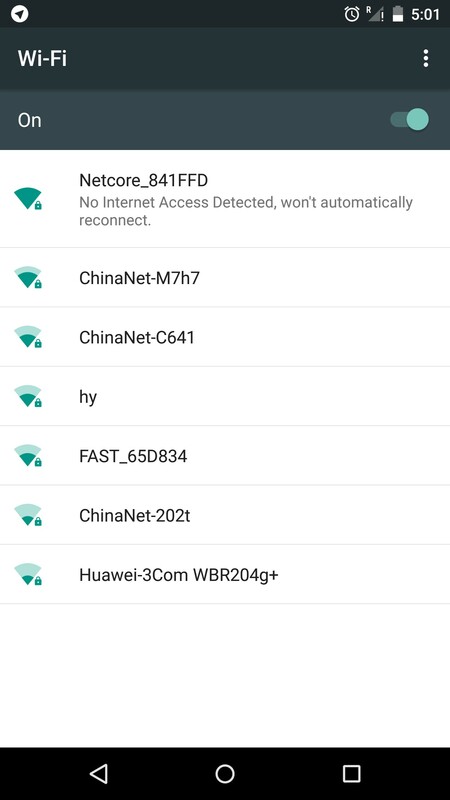 I currently live in China so my guess is that Android checks if internet is available by querying a Google server, which is blocked in China so it then concludes "No Google = No Internet" and disconnects me from my Wifi. I can't find any way to disable that Auto-Disconnect "Feature". I know this is an old thread, but I found the solution. Enable airplane mode, then enable wifi. It will show the internet connection is down, but wifi will still work. Then you can disable airplane mode and it will stay connected to the wifi (until you leave the coverage area, then you'll probably need to do it again when you return). My experience is that Android verifies the connection to a google server. 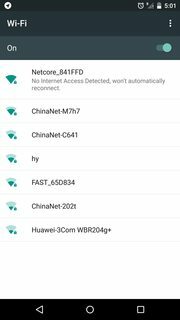 Guess what's blocked here (China). Right. Google. 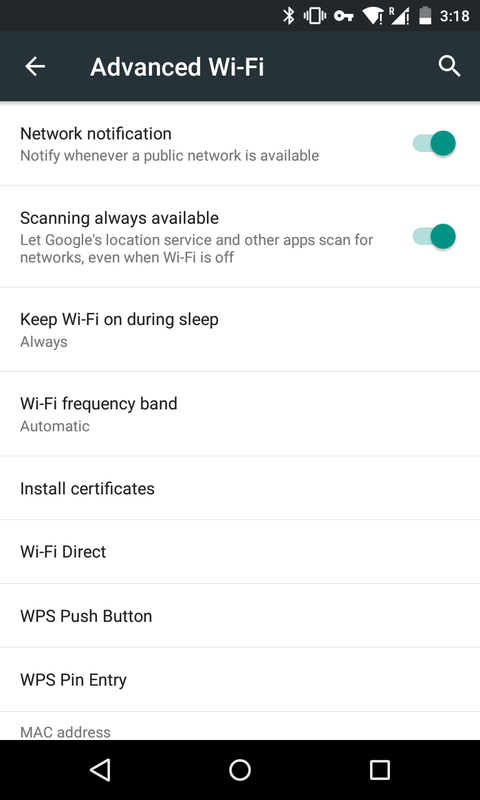 Apparently Android's new policy is to prevent auto-connecting to trusted networks if it can't see any internet on the network. Which of course there is, may it be slower and limited to the Chinese Firewall. So far I haven't found a way in Android to disable this check. And I'm forced to use 3rd party apps to solve this issue. If I ever find a proper fix, I'll definitely post it here. I travel here frequently, so I need this. Not the answer you're looking for? Browse other questions tagged wi-fi connection-issues or ask your own question. What I have to do to connect my android smartphone (Galaxy Ace S5830) to home wifi wpa2? What could be the source of error for this kind of android wireless (wifi) disconnection? treat wifi network X as cellular OR disable background wifi upload for one particular app on one particular network? Is it possible to designate an alternative wifi connection test site?